My memories of a traditional New England clam bake, Portuguese-style involved digging a large hole, making a huge fire, and putting rocks in the fire. Eventually the rocks would glow red; then food was added in layers. First came the potatoes, then corn, then lobster or crabs, other shellfish, fish and homemade Portuguese style spicy sausage. The food was then covered with seaweed, wet burlap bags and some dirt to seal in all the flavors. You could see the steam rising up through the sand and the smell was just divine. The kids would circle around the pit waiting and asking “is it done yet?” The adults’ anticipation was usually a little more subdued, probably because of the homemade red wine. Finally my grandfather would go over and lift one corner of the burlap and look to see whether the lobsters were red. This meant that the clambake was ready, and we would feast until we felt like we would burst. 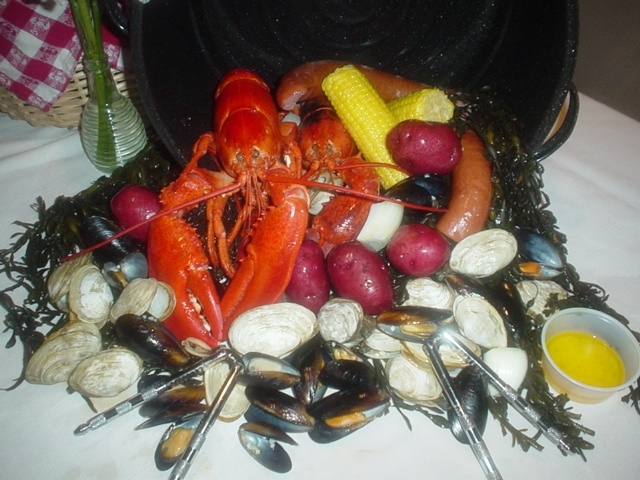 Here are instructions and recipes for you own summer clam bake. Stay connected with the latest from Lila Delman Real Estate!